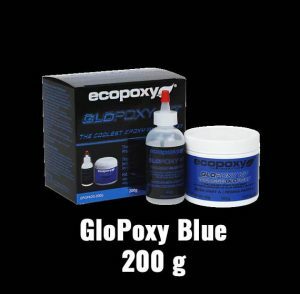 Your kit will include 2 resin and 1 hardener. 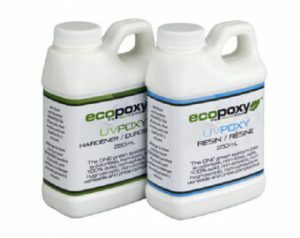 WE KNOW IT SOUNDS “CRAZY”, BUT YOU WILL ADD MORE RESIN TO MAKE THE PRODUCT HARDER! PLEASE DO NOT PANIC WHEN SHIPMENT ARRIVES AND YOU “ASSUME” WE MADE A MISTAKE. 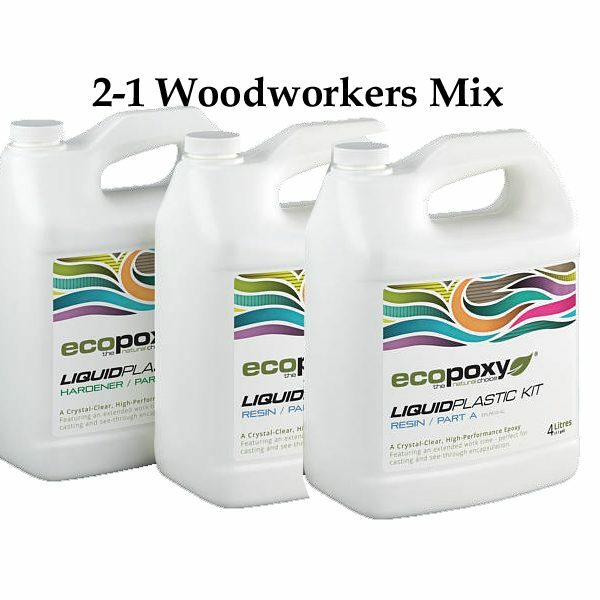 2-1 Mix for the woodworking community – Ecopoxy River Tables can be poured “thick”. • Will not distort with age. used where a crystal clear see though encapsulation of objects is required. accelerated by mild heat to 160F. a crystal clear see though encapsulation is required. and insect free. Settling dust can often cause blemishes on the glassy surface. Cure Time: 72 hours depending on ambient temperature, humidity and thickness. Recommended Storage: 55 degrees F. through 85 degrees F. with tightly sealed lids. 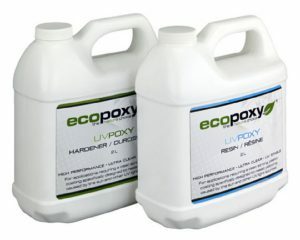 any pores in the surface and prevent air bubbles from forming in the following pours. sealer is advised. Wait 4-8 hours before pouring Liquid Plastic.